CLOUD NINE BEEZ ...BE E Z BABY...PT BEEZ...PRIMETIME BEEZ....FLY ERRRRR From Richmond benn rappin since 12 and I will be BIG soon...I appreciate everyset of ears that listen to my song and i promise im as real as it gets!!!! California Bay area hip-hop artist Bob J.r. has released an EP titled "Real Hip-Hop," his first officially published album. The EP primarily features Bob J.r.s vocals, lyrics, and orchestration as a contemporary example of the Berkeley hip-hop sound, and solidifies his claim to the local mainstream. Far from the typical beats and cliched chord progressions of contemporary top-40 hip-hop, Bob J.r.s "Real Hip-Hop" is a fresh, honest treatment of the genres roots, utilizing classic rhythm patterns and minimal background fill, a style with the space and deep groove of nineties hip-hop that also manages to sound raw, edgy, and modern.A musical autodidact, Bob J.r. taught himself to play the drums while growing up in Oakland, California, as Bobby Nathaniel Hamilton Jr. His first live performances were for the congregation at his family church, which he played at the age of ten to much acclaim and encouragement, but it was in secular hip-hop that Bob found his musical inspiration.High school found him collaborating with friends on live instruments such as a snare drum, saxophone, trombone, and bass guitar (occasionally onstage) and rather than attending classes, he soon found a home on the UC Berkeley campus where he could experiment with lyrics and refine his freestyle-rap technique. He began to produce, engineer, and record his own tracks on an old Casio keyboard with an audio cassette input.From the beginning, Bob has always emphasized the importance of truth in lyrics, which is part of his "Truth Music" philosophy. Bob says of this, "We have to change the format of hip hop and talk about real life situations. The time has come for the younger generation get some kind of structure and guidance." 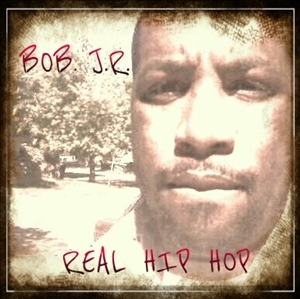 Bob J.r.s EP, "Real Hip-Hop," is available online now.The EP "Real Hip-Hop" is distributed globally by MondoTunes (www.MondoTunes.com) and is available at iTunes for convenient purchase and download.